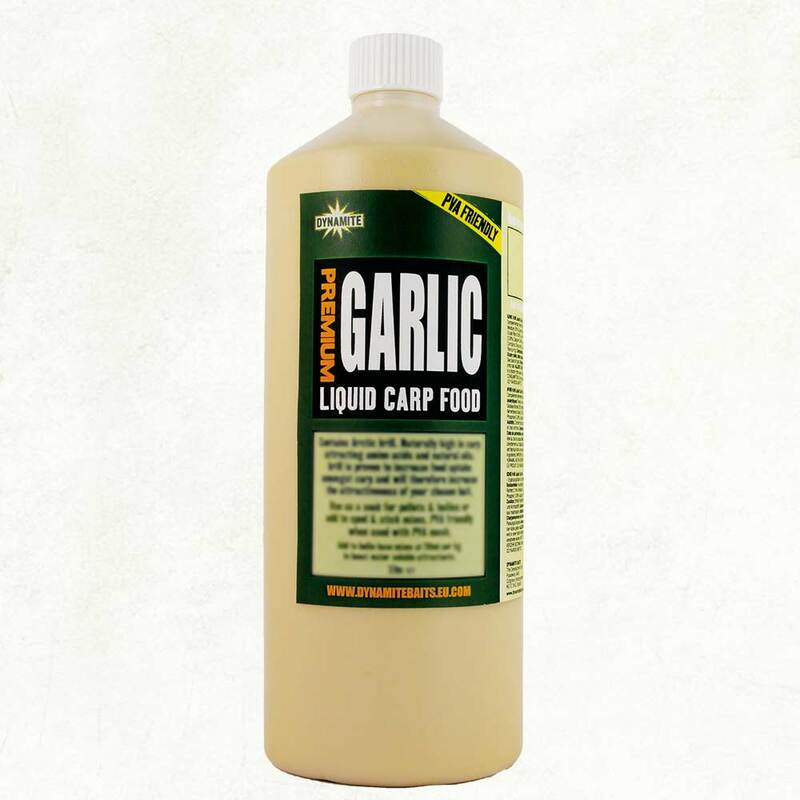 Garlic is quickly becoming recognised as a proven fish attractor and flavour – carp simply love it. Our premium garlic CSL compliments a huge variety of baits and is perfect for use all year round and seems to have extra pulling power in cold or coloured water. Our Premium Garlic CSL is based on the nutritional profile of our quality CSL with added garlic. High in Amino acids and natural food ingredients there is 30% protein in this fantastic water soluble, all year round liquid attractant. Perfect for adding to stick or spod mixes or for re-hydrating boilies or soaking pellets. If using in boilie making and adding to our base mixes, we recommend 50ml per kg of base-mix to boost the water soluble attractors in your baits.